Epilepsy is a chronic disorder characterized by recurrent seizures, and is one of the primary neurologic conditions associated with dysphagia (difficulty swallowing). The successful treatment of epilepsy with antiepileptic drugs (AEDs) can depend on the patient’s adherence to medication and literature has shown that non-adherence, often affected by dysphagia, is a significant issue in this population. This study estimated the annual incremental healthcare burden of dysphagia in individuals with epilepsy. ≥ 10 years of age. Demographics and comorbid conditions including the Elixhauser Comorbidity Index were summarized for each cohort. Dysphagia patients were matched to non-dysphagia patients using demographic and comorbid conditions in a combination of propensity score and direct matching. After matching, adherence to AED medication was estimated for each month. The incremental healthcare burden (in 2016 dollars) of dysphagia was estimated for all patients and a Medicare subset using the gamma log link model with further adjustments for covariates that remained unbalanced after matching. The inclusion criteria were met by 60,487 patients, 9,688 (16%) of which had a diagnosis of dysphagia, 48,182 (80%) had no evidence of dysphagia and 2,617 (4%) had unclear dysphagia status. 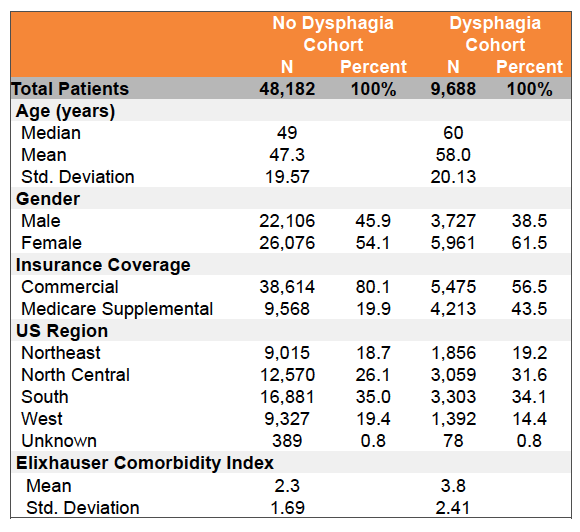 (Figure 1) The group with unclear dysphagia status were not further analyzed. ‍The matching yielded 3,974 pairs overall and 1,316 pairs in the Medicare subset. Medication adherence by each group after matching are shown in Figure 2 for the overall cohort. The graph suggests lower adherence rates for the Dysphagia cohort over the two year period with bigger differences in the first year in comparison to the No Dysphagia cohort. Table 2 displays the results of the multivariable models for the annual healthcare burden of dysphagia in patients with epilepsy for the entire sample and for the Medicare subset. The incremental burden for year one was $16,107 for the entire sample and $14,550 for the Medicare subset. Epilepsy patients with dysphagia were significantly older and had higher rates of chronic disease when compared to epilepsy patients without dysphagia. After matching, dysphagia patients had less adherence to their AED medication and had a higher healthcare burden with an estimated incremental cost of approximately $16K per year. Study Support: This study was funded by Aprecia Pharmaceuticals Company. CTI Clinical Trial and Consulting Services, Inc.